The Wine Advocate - The wine boasts 14.6% natural alcohol and is a final blend of roughly three-fourths Merlot and the rest Cabernet Franc, cropped at a ridiculously low 19 hectoliters per hectare. Notes of licorice, garrigue, incense, smoked meats, espresso, creme de cassis and blackberry liqueur jump from the glass of this unbelievably intense wine. Remarkably full, with compelling freshness and precision, this is a fabulous effort in 2010. It will probably close down over the next several years, and not re-emerge for at least a decade, something that often happens with the bigger, richer, more muscular St.-Emilions from the limestone hillsides and plateaux. This is one of the superstars of the vintage and a profound wine. Drink it between 2020 and 2045. Jancis - Dark, vibrant crimson. Mid ripeness level. Sweet start and real vibrancy on the palate. Very polished in a modern but not exaggerated way. Quite racy on the finish. 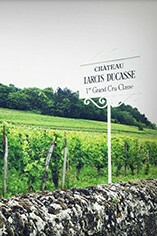 Wine Spectator - A nice winey core of crushed red and black currant fruit is laced with ample anise and graphite notes. Stretching out nicely already on the finish, with fresh acidity. Parker - The wine boasts 14.6% natural alcohol and is a final blend of roughly three-fourths Merlot and the rest Cabernet Franc, cropped at a ridiculously low 19 hectoliters per hectare. Notes of licorice, garrigue, incense, smoked meats, espresso, creme de cassis and blackberry liqueur jump from the glass of this unbelievably intense wine. Remarkably full, with compelling freshness and precision, this is a fabulous effort in 2010. It will probably close down over the next several years, and not re-emerge for at least a decade, something that often happens with the bigger, richer, more muscular St.-Emilions from the limestone hillsides and plateaux. This is one of the superstars of the vintage and a profound wine. Drink it between 2020 and 2045. 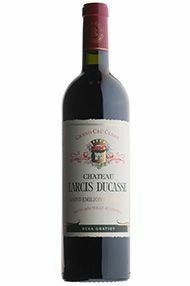 By any standard of measure, this is the second greatest wine I have ever tasted from Larcis Ducasse, eclipsed only by the perfect 2005. Winemaker Nicolas Thienpont, with Stephane Derenoncourt in the background, have hit pay dirt with this 2010 from Larcis-Ducasse’s vineyard of 28 or so acres of the famous Cote Pavie’s decomposed limestone. An excellent effort, stylistically, the 2010 comes as close to the 2005 as one will find. The wine was made from remarkably low yields of 19 hectoliters per hectare and the final blend was approximately 75% Merlot and 25% Cabernet Franc. The late harvest (it finished during the third week of October) was managed impeccably by the dynamic duo of Nicolas Thienpont and Stephane Derenoncourt. This phenomenal terroir, situated with a south/southeast exposition on the limestone soils of the Cote Pavie, has produced a wine with great individuality. 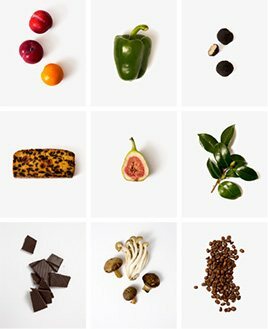 Its dense purple color is followed by notes of black currants, sweet cherries, garrigue, licorice and incense. Already complex, it reveals formidably endowed, full-bodied flavors, a skyscraper-like texture, marvelous depth, moderately high tannins and excellent precision as well as freshness (which gives the wine that 2005-like personality). This 2010 will require 4-5 years of cellaring and should age effortlessly for 20-25 years thereafter.